Pope Francis never ceases to amaze me, and in a good way. He is the most all-embracing, open-hearted pope in my recollection. He has been a steadfast advocate for open-mindedness towards people and causes often scorned in our society—the LGBT community, the poor, migrants, abortion rights. He has called the Catholic Church “obsessed” with abortion, gay marriage and contraception. Today he has called for a “global mobilization” to end human trafficking. Last week he joined leaders of the Jewish, Muslim, Hindu, Buddhist and Christian faiths, promising to use their religions towards eradicating “modern slavery” and human trafficking by 2020. It’s been said that Francis sometimes disguises himself as a priest and sneaks out to serve the homeless with Krajewski. Whether you believe in a heaven or not, it’s a wonderful sentiment. Why shouldn’t one’s furry loved ones follow them into the afterlife? Wouldn’t it be wonderful if Pope Francis ran for Congress? Maybe he could get some real work done. Sorry, had to add my two cents. He is a reminder of what we all can be, religious or not, and of the good that can be found in all of us. 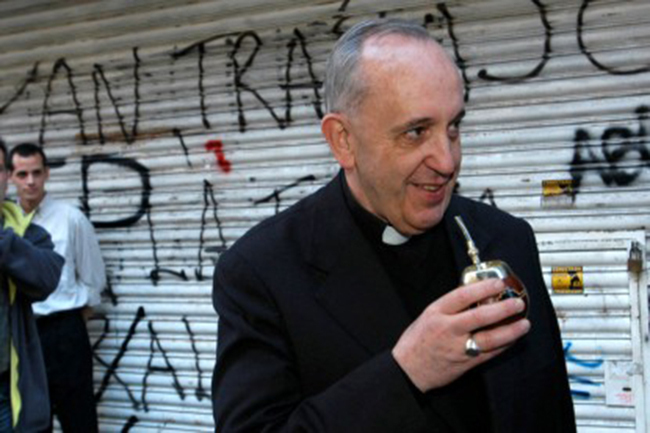 A Pope that gives hope…nice round up of the snippets of good things I’ve heard…thanks! Thanks, Sharon. Yes, a Pope with hope! Wish we could clone him. Pope Frank is amazing. He walks the walk. Exactly, Matt. He’s the genuine article, as Lorin would say. Happy Friday!